brushworks' Mini Brush Set is a must have makeup brush collection that combines four mini face brushes. Fitted with soft, synthetic taklon bristles, each brush can be used with liquid or powder products to lend your complexion a professional, airbrushed finish. Each brush has a precision shaped handle for improved control during application. 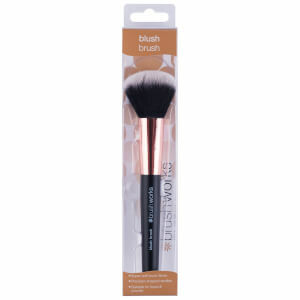 A tapered, dome-shaped brush ideal for stippling, blending and buffing. The dense, fluffy fibres pick up the perfect amount of product to build an even coverage with foundation, bronzer or blusher. 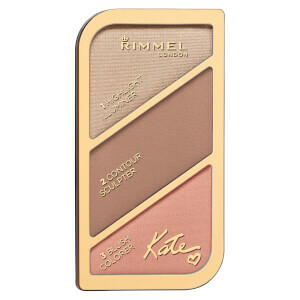 A must have for any beauty kit, use the tool to create a natural looking base, dapple cheeks with a rosy hue or define and contour. 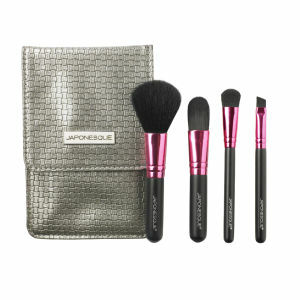 A high quality makeup brush designed to apply and set makeup with expert results. The soft, fluffy, dome-shaped brush effortlessly sweeps makeup across the face, seamlessly blending to ensure flawless coverage. Picking up and distributing the perfect amount of product, the brush facilitates easy makeup application, and when used with setting powder, will help to prolong makeup wear. Perfect for concealing the under eyes and smaller areas of the face, the fluffy, tapered head picks up and delivers the perfect amount of product to help cover up dark shadows, blemishes and imperfections. Carefully shaped and cut to blend round the eye, the precise brush allows you to apply concealer or eyeshadow with expert, evenly blended results. Perfect for covering dark circles or for buffing eyeshadow into the crease. Nice brush set. It is all must have from like basic brushes. Are soft and easy application. It will fit perfectly for a travel too.. 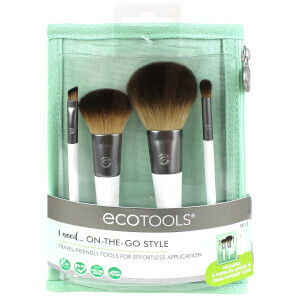 These travel size brushes are soft and have convenient shape. Application/blending process is smooth. Taking into account their size (palm length) and price (relatively cheap) and quality (5/5) this is good solution for newbies and travelers.